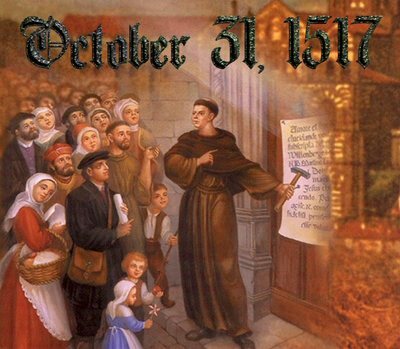 The Lutheran Church was born in Germany October 31, 1517 when Martin Luther nailed his famous 95 Theses to the church door in Wittenberg. 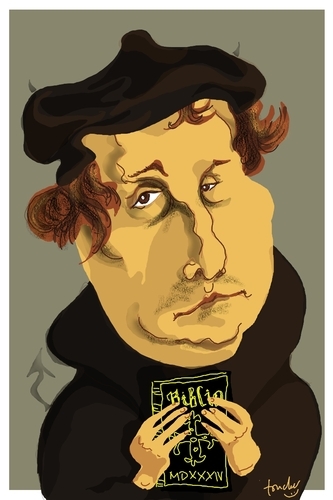 Luther did not intend to split the church, but his critiques of the church were neither welcomed nor tolerated by church leaders so he was excommunicated. 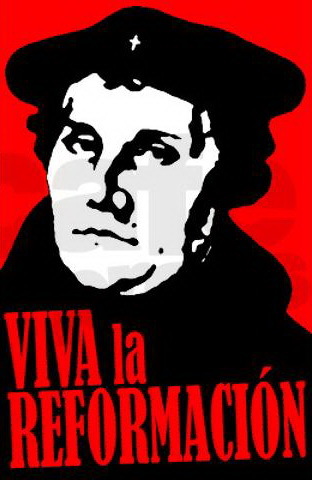 Followers of Luther and his reforms were called "Lutherans", and the word "Lutheran" was considered a slanderous term for much of the 16th century. Lutherans first came to America in the 1600s with Swedish immigrants in the area of Delaware. Later, German immigrants to Pennsylvania, especially the Philadelphia and Lehigh Valley areas, brought Lutheran beliefs and churches to America. Henry Melchior Muhlenberg is credited with solidifying the Lutheran presence in the US. They were an important colonial family, with Henry's sons serving with Washington at Valley Forge, and as the first Speaker of the House of Representatives and signer of the Bill of Rights. Presently, there are hundreds of Lutheran churches in Eastern Pennsylvania, including dozens in the Lehigh Valley. These nearly 500 congregations are gathered together in the Northeastern Pennsylvania Synod and Southeast Pennsylvania Synod. Nearly all of the Lutheran Churches in this area are part of the Evangelical Lutheran Church in America (ELCA) a 25-year old national church body in the US. God's love is unconditionally guaranteed—a promise for life! The Bible is God's Word for us—our guide for living in the world today. We are all both saints and sinners—imperfect, but forgiven. The gospel is unchanging—God's Word revealed in Jesus Christ. The church is ever reforming—responding to a changing world. As of 2012, there were 3,950,924 baptized members in the ELCA. There were 9,533 congregations organized in 65 synods in nine geographic regions. As of Oct. 22, 2012, there were 18,010 leaders on the ELCA roster including 998 associates in ministry, 64 deaconesses, 175 diaconal ministers and 16,773 ordained clergy. In 2012, 23 percent of clergy on the ELCA roster were women. In the ELCA’s eight seminaries, the numbers of women and men preparing for ministry are about equal. The ELCA offers opportunities for Lutheran education at every level and considers education as an important part of our calling. We offer quality education at every level through our institutions. In addition to the eight ELCA seminaries and two seminary extension centers, there are 26 colleges and universities, 50 or more lifelong learning programs, 14 high schools, 296 elementary schools, 1,573 early childhood programs, 145 camp and retreat centers serving 450,000 annually.